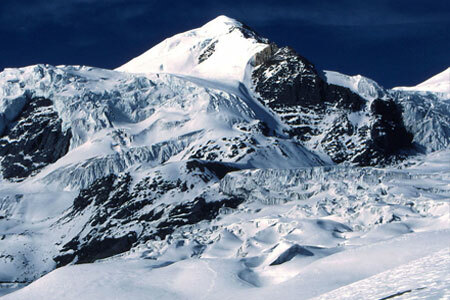 Island peak (6165m) also known as Imja Tse is one of the famous climbing peaks in Nepal, located at Everest region. 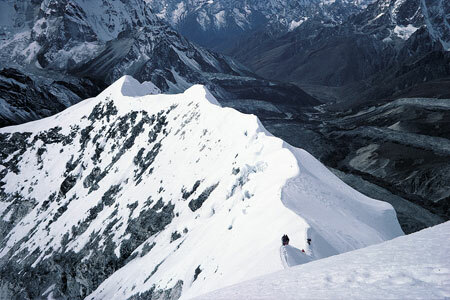 This peak was first known as Imja Tse peak. 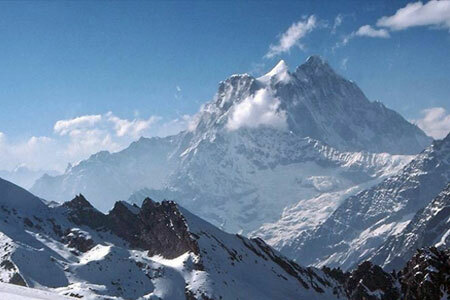 The trekking to the peak does not only provide an enjoyable climb but also provides some of the different spectacular scenery of Himalayas lying in the Khumbu region including the Mt. Everest (8848m),Mt.Nuptse (7,855m), Lhotse (8,516m), Lhotse middle peak (8,410m) and Lhotse Shar (8,383m) make a semi circle in the north. The views of Makalu (8475m) , Baruntse (7720m) in the east and Mt. Amadablam (6856m) in the south add more charm while having summit to the Peak. 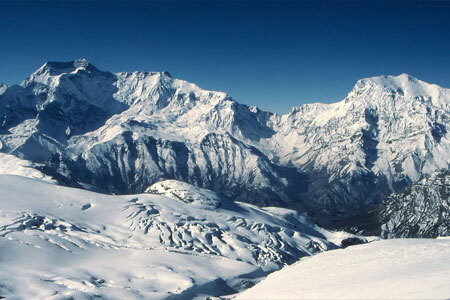 The peak was first ascended in 1953 by the British team as part of their preparations for climbing Everest. Tenzing Norgay was one of the members of the first ascent team. 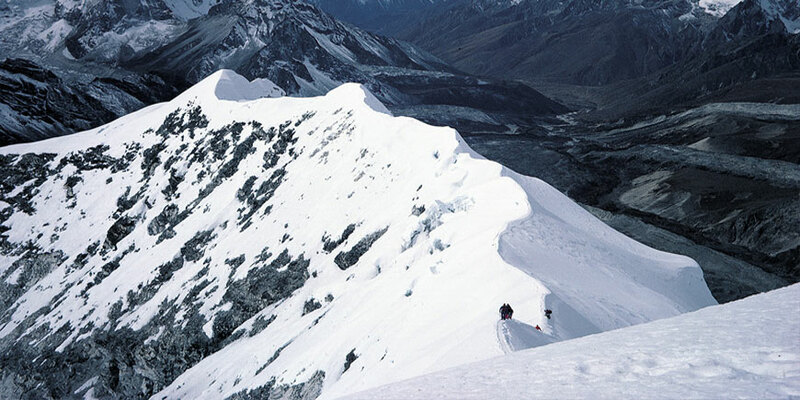 The peak is actually part of the south ridge of Lhotse Shar and forms a semicircle of cliffs that rise to the north of Nuptse, Lhotse, Middle Peak and Lhotse Shar. 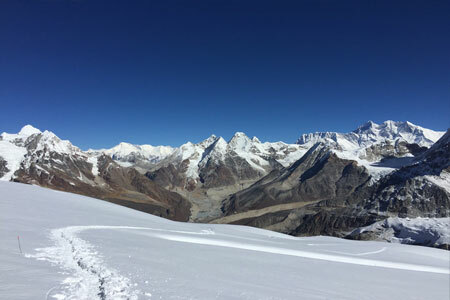 Until you are along with the well-experienced peak climbing guides of Advent Himalaya Treks, you do not need to worry on anything, even if you the first time in Nepal and want to have experience of climbing the peak. The trekking to the area usually begins from Lukla, where we can reach by direct flight and through Namchhe, Dinboche, Chukung, we finally reach to the base camp and after having successful ascend to the peak, we return from the same route. 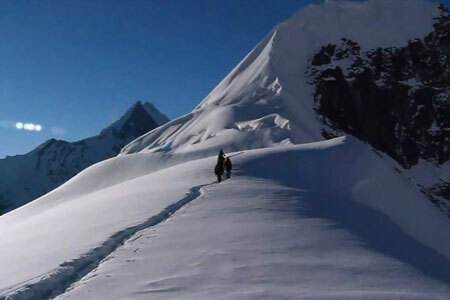 Tet say Island Peak is a kind of trekking peak. More climbers prefer trek up to Gokyo Lake Valley - Chola Pass, Everest Base Camp, Kalapathar and to Island Peak Base Camp for the climbing. Some climbers prefer to climb it after done Everest Base Camp Trekking. Day 01: Flight to Lukla & Trek to Phakding (2610m) overnight in Lodge. Day 02: Trek to Namache Bazaar (3446m) overnight in Lodge. Day 03: Acclimatization in Namche Overnight in Lodge. Day 04: Trek to Tengboche Monastery (3867m) overnight in Lodge. Day 05: Trek to Dingboche (4400m) overnight in Lodge. Day 06: Trek to chukung (3700m) Overnight in Lodge. 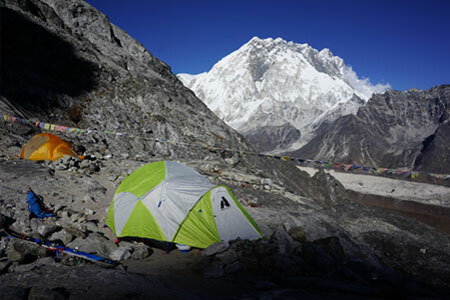 Day 07: Trek to Island Peak Base Camp (5200m) overnight In Camp. Day 10: Trek to Phorche village Overnight in Lodge. Day 11: Trek to Namche Bazar Overnight in Lodge. Day 12: Trek to Lukla Overnight in Lodge.